Kicked out of her house at 16, Lisa McDonald quit high school and started working to take care of herself. Eventually she went back to school, and went on to earn degrees from McMaster University in Sociology and from Mohawk College in Child and Youth Worker Program. She also holds Licensed Certification as a Passion Test Facilitator. Her journey into entrepreneurship in 2012 was a result of dissolved marriage and becoming a single parent to two young children. A successful author, Lisa wrote, Little Boy Gan: From Passion-Filled Everland, Reimburse the Universe, Planet Pome-Granite, and Kismet Tales From Happy Trails and is a contributing author to the International nonfiction bestsellers, 365 Moments of Grace and 365 Life Shifts. She is also a motivational speaker, blogger, vlogger, TV and radio host, personal development coach and Mom of two. On her weekly radio talk show, Lisa interviews a variety of newsmakers, leaders, authors, and celebrities. Recent guests have included, Deepak Chopra, Leeza Gibbons, David Suzuki, Dave Pelzer, Jay Shetty, Lolly Daskal. Sesame Street’s Bob McGrath and leadership expert, Dov Baron. In her personal and professional life, Lisa walks the walk and talks the talk, by exercising daily gratitude, paying it forward and being of service to others. She shares the message that the key to success and happiness comes through learning how to LIVE LIFE FEARLESSLY! 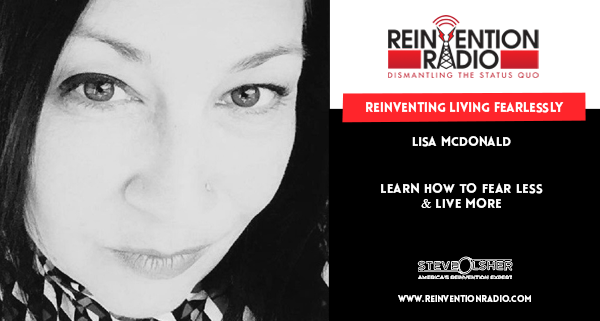 Tune in to hear Lisa chat with Steve, Mary, and Richard about her journey from childhood abuse to where she is now – living fearlessly. Reinventing Flipping Houses – In this episode, tune in to hear Tom chat with Steve, Mary, and Richard about his career as a blue-collar mailman and how he used it to become the “Millionaire Mailman”.